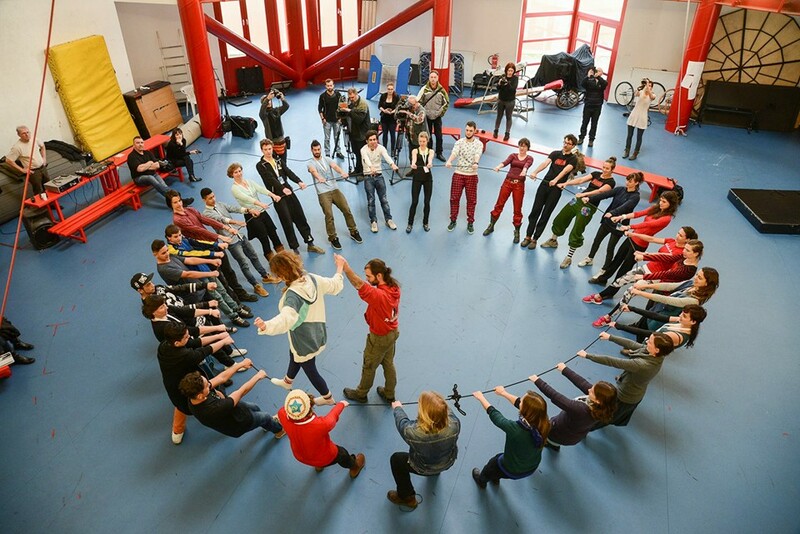 1/2 days training for European Social Circus Teachers, topping and tailing each day. 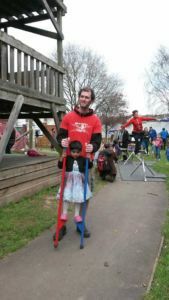 1/2 days running a live project together for children and young people of many different ethnicities who attend an open access adventure playground in Bristol. 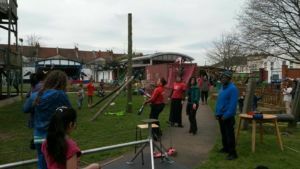 We will have 2 venues- the adventure playground (AP) and All Hallows (AH) which is a venue for community events. AP will be open access as usual (other children and young people not involved in our project will be free to play at the same time we’re there). AH will be a private space where we can take the children and young people to work in a more focussed way. The adults morning training and afternoon reflection will take place at AH. 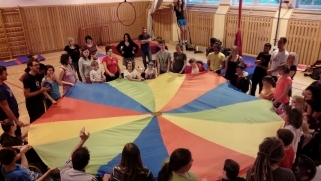 Holly Stoppit is a facilitator, teacher, director and dramatherapist with a life-time’s experience in social circus, community arts and professional theatre. See www.hollystoppit.com or https://www.facebook.com/hollystoppitworkshops for more details about Holly’s work. 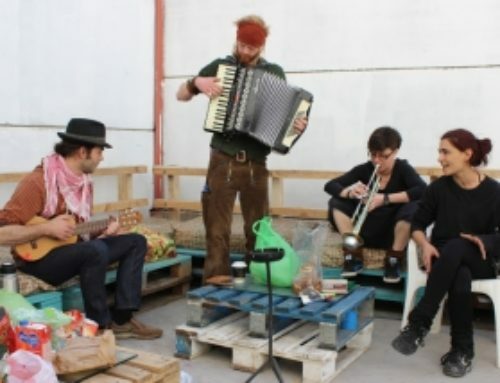 Holly is being brought in by Invisible Youth, the youth circus devision of The Invisible Circus, whom Holly has collaborated with on numerous projects in the past, including directing their massive site-specific circus-theatre extravaganza, Carnyville. Holly also provided the training for the last Bristol Educircation workshop. Holly will be reaching into her enormous bag of tricks to pull out the most appropriate structures, exercises and philosophy for each moment during the week. Holly is a responsive facilitator who takes delight in working with whatever presents itself in the room. 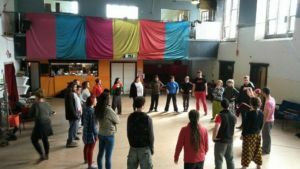 Holly’s work is all about creating connection between people and she uses numerous techniques that serve to improve the quality of connection; including clowning, mindfulness, dramatherapy, playful voice work, dance-movement, games, laughter yoga and dialogue. New in her bag since the last training are; Non-Violent Communication, Playback Theatre and Action Theatre Techniques. There will be games and exercises to help the group bond. 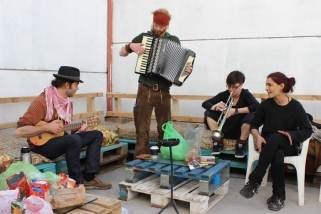 Most likely, we’ll use some fun non-verbal play as well as some Playback / Open Space techniques to learn a little about each other’s lives. in small groups, we facilitate the children / young people to give us a tour of the playground and tell us / show us what they love about it. Holly offers structures to help the group reflect on their experiences of the day. This session focusses on recognising our own feelings and the needs (met and unmet) that the feelings are triggered by. Non-violent communication (NVC) is all about increasing empathy and compassion and helps people to get to the root of all ‘violent’ behaviour by recognising the unmet needs and the feelings that are triggered. During this session, Holly will facilitate play opportunities and guided reflection to help the group get acquainted with their own feelings and needs, moment to moment. This will encourage empathy and understanding when working with the young people in the afternoon. 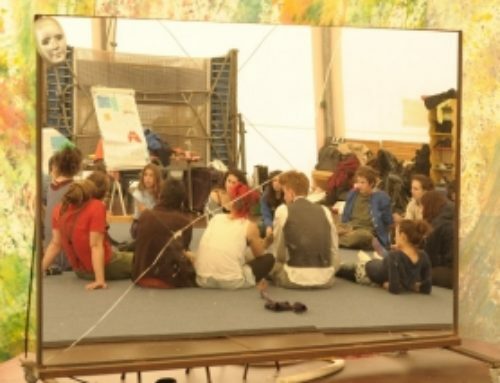 There will also be a planning session for the afternoon’s circus session. 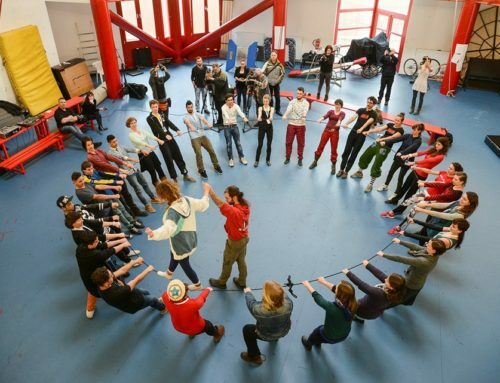 circus skills practice (small groups on a rotation, so that they get to try everything) facilitated by small groups of adults, using the NVC techniques learning in the morning session. Holly will offer structures to help the group reflect on their experiences of the day. We will talk about any behavioural issues that cropped up and find out whether the NVC techniques were helpful. We may do a bit of role play so that the group can practice the NVC skills in action. In this session we will look at making requests (as opposed to demands), using techniques from NVC to enable powerful dialogue where both people are able to bring their needs and feelings into the relationship without resorting to violent behaviour. We will use role play / forum theatre techniques to play out conversations and practice making requests. 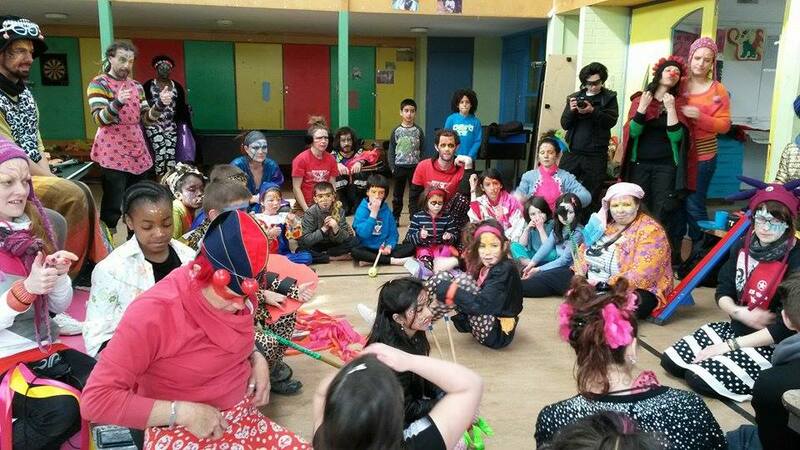 There will also be time for a planning session for the afternoon’s circus session. 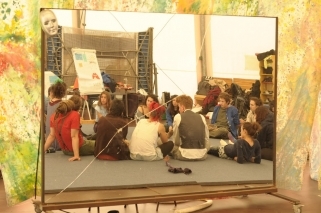 The group will be lead through a process which will result in them making a piece of site-specific circus-theatre to show to each other. Day four pm (adults and young people) All Hallows / Adventure Playground? 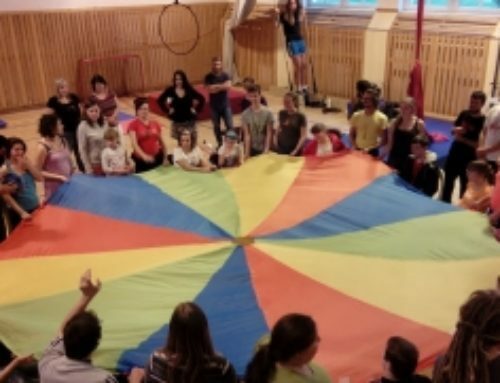 ensemble games to practice listening, communicating and supporting. 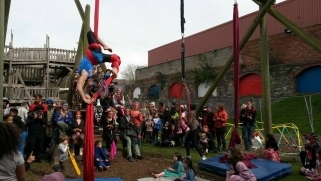 The adults will then lead their small groups through a similar process to the one they tried in the morning session to create a child-led piece of site-specific circus-theatre to be performed at the adventure playground the next day. We will talk about the devising structure and how they adapted it for their group. What were they challenged by? How might they apply it? What further learning are they inspired to undertake?